Monster Hunter: World looks like a raucous good time, rife with plenty of giant beasts duking it out for supremacy. And then there’s you, trying to take them all out. It’s all here in Capcom’s latest 23-minute trailer that’s just debuted. If you like working with strangers and friends, check out our list of the best co-op games. The video follows a hunter as he tries to take down the Anjanath, or a monster that resembles a T-rex more than a little. There’s a decidedly epic clash between the two as the demo shows off how to mark your targets with Scoutflies and even how Anjanath can interact with the other monsters scattered throughout the world. 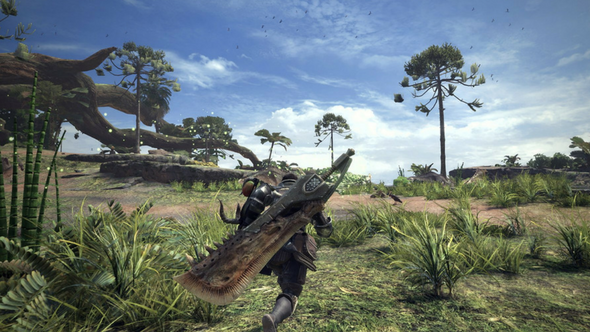 Check out the video for an extended (that’s an understatement) look at the upcoming Monster Hunter installment. It’s certainly going to be worth your while.